Hitachi, one of the world’s largest companies, has entered the North America microgrid market, a move born out of a tsunami and a very, very long-term view of the business cycle. The $81.3 billion global conglomerate has been quietly preparing the ground for its North America microgrid operation over the past year. But the seeds of the move go back to 2010, when the Japanese company celebrated its 100-year anniversary, and CEO Hiroaki Nakanishi decided it was time to think ahead another 100 years. As he and his team looked forward, they found themselves focused on sustainability, climate change and urbanization. Out of that came a strategy for social innovation designed for the long view. 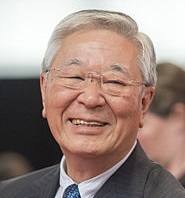 “This was in a nut shell Nakanishi’s plan to focus at that time all 966 Hitachi companies on a unifying mission. And that mission is to develop and deploy products, solutions and technologies for the purpose of solving some of the world’s largest challenges,” said Erica Hauver, senior vice president of Hitachi Microgrid Solutions. Soon after the plan was set, nature offered its own input, which further shaped the company’s thinking. The devastating Fukushima earthquake and tsunami struck Japan in March 2011, paralyzing large swaths of the nation’s energy infrastructure. At the time, Hitachi was midway through a smart city project in Kashiwanoha on the outskirts of Tokyo. Seeing what the disaster did to the nation’s electric grid, the company decided to reconsider its approach in the smart city. Hitachi created its first microgrid. The microgrid emerged “largely in response to a recognition across Japan – from policymakers, to businesses to citizens – that because the country is so prone to natural disaster, they needed a rethink on the design of the country’s energy infrastructure,” Hauver said in a recent interview. Hitachi’s microgrid business made its way from Japan to North America after Nakanishi launched a social innovation contest. 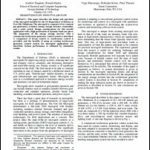 A sustainability team within the company submitted an entry to develop an Americas microgrid business. Among hundreds of entries, the microgrid proposal won, and created the springboard for the company’s current play in the U.S. and Canadian microgrid market. In North America, the company is acting as a project developer that designs, builds, owns and operates microgrids. Through Hitachi Capital, the company also can offer financing – often a roadblock for projects. Hitachi wants to develop a volume business. This isn’t easy because microgrids still tend to be customized, built project-by-project. Hitachi wants to change that, so is investigating a replicable approach. “We are choosing our partners with that mind,” she said. Hitachi microgrids are typically grid-connected and often include combined heat and power, solar, and always have batteries for energy storage. The company uses microgrid controllers provided by partners. 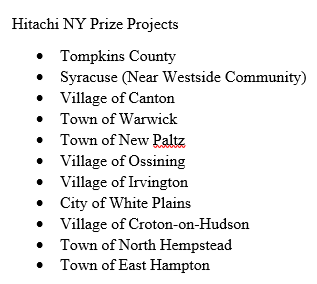 Although operating largely under the radar for the past year, Hitachi already is working on several North America microgrid projects, among them 11 NY Prize projects and 13-15 microgrids in Canada. Where does Hitachi see additional opportunity? Right now in the university, commercial, industrial and community microgrid market, and to a lesser extent among utilities. Eventually Hitachi expects to collaborate with more utilities as they seek out microgrids. “We see that market coming; we don’t see it right now,” Hauver said. Hitachi customers tend to prefer signing a power purchase agreement (PPA), rather than owning a microgrid outright – a trend Hauver sees continuing, especially among commercial and industrial customers. They want the benefits of a microgrid, but would rather have outside experts own or operate the facilities. Under the PPA model, Hitachi builds the system and partners with a financing company to create a special purpose entity for ownership and operation of the microgrid. The customer buys the power at a price at or below the local utility rate under the 10 to 20-year contract. Of the more than 40 projects now in Hitachi’s North American pipeline, only a few customers have chosen to finance and own the microgrids, according to Hauver. In readying its position over the last 12 months, Hitachi has been tracking North American market indicators and trajectories. On all counts microgrids are exceeding expectations, she said. Notably, the nature of the customer conversation has changed. “We are out talking to many, many customers every day. We are finding that customers are coming to those conversations with a greater degree of education and sophistication than we believed they were going to have at this stage,” Hauver said.